Welcome is a South African Tourism initiative that aims to create and sustain engagement with industry stakeholders, and encourage information sharing. The initiative extends a hand to all role-players in the tourism industry, from seasoned tourism business owners to young, thriving start-ups. For anyone in the travel trade, word-of-mouth referrals and personal endorsements are the pinnacle of marketing, and the Welcome initiative wants to help you to achieve this on a regular basis. This toolkit will assist you in making your guest’s day, every day. It will empower you with the tools you need to improve your level of service, and make sure that your guests have the best possible experience in South Africa, and your establishment. This will ensure they have a special, meaningful holiday. Hopefully they will want to return, and recommend you (and South Africa) to their friends. Our signature video. 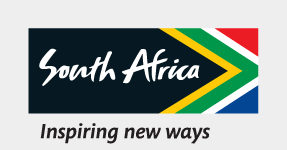 Welcome South Africa is an initiative that seeks to enhance South Africa’s reputation as a warm and welcoming place for tourists. A simple smile can make you an ambassador for South Africa today. View a video offering insights from Chinese travellers visiting South Africa, to find out more about how to make them feel even more welcome. This video shows views from various Indian tourists on eating out in South Africa, what makes a holiday special, and what they thought of their visits to SA. Many Indian tourists are vegetarian. In this video they discuss their experiences with vegetarian food in South Africa. Indian travellers talk about what they like to eat and what they think about vegetarian food in South Africa, as well as their concerns about safety and impressions of wildlife and the vegetation. Brazilian tourists discuss what they thought about South Africa before they got here, why they decided to visit South Africa, and what they are planning to do while in SA.